Green consumption depends on the green sign to guide. As far as the world packaging industry is concerned, Germany has taken the lead in implementing ecological packaging and using green signs. Subsequently, the European Union, the United States, Japan, and Canada have followed suit. 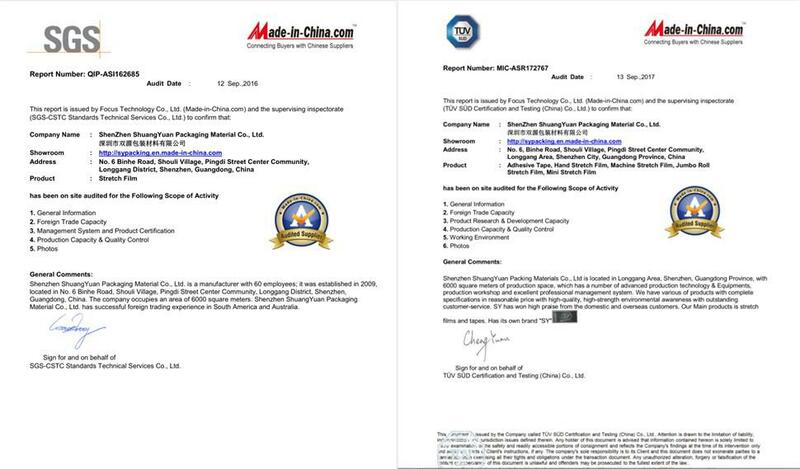 "Environmental Protection Mark" is a green mark in international standards. The WOT rule shows that any product that obtains the "Environmental Protection Mark" can enter the international market. The European Union has recently reiterated that the product packaging must have the principle of "Environmental Protection Marking". Driven by the trend of green consumption, people will no longer only pay attention to whether the quality of the goods is qualified or whether the packaging is exquisite when they purchase merchandise. Instead, they are more concerned about whether the products meet the requirements of environmental protection and whether there are green signs on the packaging. Consumers are privileged to make a contribution to the environmental protection business by buying products with a green logo. As consumer demand for ecological packaging is relatively strong, manufacturers of goods will proceed from their own economic interests and will also have to take into account the environmental factors of product packaging, take the initiative to adopt ecological packaging, and implement green marketing to cater to consumers. The psychology promotes the sale of goods. In addition to green shopping, green consumption also requires consumers to develop consumption habits that are conducive to the recycling of packaging waste. The environmental protection department shall set up classified bins in parks, streets, and residential quarters to guide people to consciously sort and recycle the packaging wastes. Promote and support the community to initiate â€œgreen shoppingâ€ activities, go out to purchase goods, try to bring their own shopping bags, and reduce the use of â€œuse or throwâ€ packaging products, such as disposable plastic lunch boxes, plastic bags, paper cups, etc., to encourage people to use repeatable Used and recycled packaging containers. From the perspective of circular economy, the assessment of the impact of the input and output of an economic system on the environment must be based on the entire process and the entire system, rather than on only one or a part of it. Therefore, Life Cycle Analysis (LCA) is a technical idea for microeconomic analysis of circular economy. It requires the analysis of the system's resource consumption and pollution emissions from the entire process of materials and energy, ie, extraction, processing, transportation, use, recycling, and final disposal, in order to grasp the whole process and the whole system to the ecological environment. Impact, thereby assessing the merits of the system's ecological and economic benefits. If people implement clean production during mining and processing, and implement clean circulation and green consumption during transportation and use, and can not completely avoid the possible environmental pollution caused by packaging waste, then they should be in the recycling cycle and final disposal. In the final stage, as much waste as possible is recovered and used, and residual waste is finally disposed of in an environmentally acceptable manner. The greatest benefit of recycling and recycling of packaging waste is to save energy and resources, not only to create considerable economic benefits, but also to generate good environmental benefits. Taking the recycling of two aluminum cans as an example, remelting one ton of aluminum saves 95% of energy compared to producing aluminum from bauxite. Recovering 1 ton of aluminum can save 4 tons of aluminum ore, 400 kg of oil and coke; recycling of steel and glass waste The material can save 50% of the energy needed to produce the material; using plastic waste to make parts or packaging containers can save 85%-90% of the energy needed to produce plastics. At present, China still pays insufficient attention to the recycling and reuse of packaging waste. The recovery technology is backward, the system is not perfect, and the recycling rate is very low. According to statistics, the recycling rate of waste packaging paper in China is only 30%. The packaging of medicines, canned goods, cosmetics, etc. is almost completely abandoned, and plastic recycling is only 30%. We should learn from the successful experiences of developed countries and actively carry out the recycling and reuse of packaging waste. One is the rule of law, which will force companies to recycle packaging waste. German law clearly stipulates that since July 1, 1995, the recycling rate of packaging materials such as glass, tinplate, aluminum, cardboard and plastic must reach 80%. The goal of the Dutch government is to reduce the national â€œproductionâ€ of waste by 70%-90% within 10 years. France stipulates that manufacturers and importers must complete 70% of the recycling rate of used packaging in 2000. In 2003, 85% of packaging materials should be recycled. In the United Kingdom, it was stipulated in 2000 that 60% of industrial packaging and 30% of household packaging should be recycled. In order to promote the use of reusable and recycled packaging products, the European Union has stipulated that from 2000 onwards, packaging materials that cannot be reused or recycled cannot be excluded from the market. The "Cleaner Production Promotion Law of the People's Republic of China" stipulates that: Enterprises that produce and sell products and packaging items that have been included in the compulsory recycling catalog must recycle the products and packaging after the products are scrapped and used; Compulsory recycling of products and packaging of catalogues shall be subject to economic measures conducive to recycling; the government's economic and trade administrative department shall regularly inspect the implementation of compulsory recycling of products and packaging, and promptly announce the inspection results to the public; failing to perform the products or packaging In case of recovery, the administrative department of economic and trade administration shall order it to make correction within a time limit; if it refuses to make corrections, it shall be fined not more than 100,000 yuan. Circular economy policies and regulations warns people: The manufacturers and sellers of packaged products should be responsible for the entire life cycle of the products. They are obliged to recycle the waste generated from their products and bear the necessary expenses; The packaging produced in industrial enterprises and circulation enterprises Waste must not enter municipal waste disposal systems. This means that whoever produces these products must be responsible for recycling the packaging waste of these products; if you can't recycle the packaging waste according to the stipulated indicators, you have no right to continue to organize production, which enhances producers and sellers to reduce packaging waste. The consciousness of things has also changed people's perception of packaging waste and viewed it as a renewable resource that can be used. The second is to use economic levers to promote the recycling and reuse of packaging waste. The â€œpolluter and who governâ€ policy implemented in the past is a passive environmental pollution control model. After the formation of pollution, it was forced by the environmental supervision department to take countermeasures to carry out low-standard governance. It is often difficult to remove the effects of environmental pollution. The circular economy implements the â€œwho pollutes, who pays,â€ and â€œwho govern, who benefitsâ€ governance policies, so that polluters pay a huge economic cost, so that they have to implement cleaner production; so that polluters get considerable economic benefits, encourage All sectors of the community invest in the environmental protection industry. Collect garbage tax. The most direct incentive for circular economy is to charge according to the amount of garbage that is dumped. There are more than 200 cities in the United States that levy garbage taxes. A study showed that if the 32-gallon garbage per bag is taxed at US$1.5, it will reduce urban waste by 18%. Many European countries have adopted waste charging policies, but at the same time they actively encourage the recycling of packaging waste. There are special recycling boxes in residential areas and public places, which are convenient for people to abandon their packaging. It is free to put packaging waste into the recycling bin, and it will be charged if it is put into garbage bags. Collect tax on packaging. Many European countries charge packaging taxes for products that have environmental impacts from packaging waste. This approach raises the cost price of those packaging wastes that require special treatment or are not easily recycled, relatively reduces the price of those products that use the easy-to-recycle packaging, encourages them with market price mechanisms, and forces product producers to design and produce. In the initial stage, it is considered whether the packaging can be easily recycled after use, thereby reducing environmental pollution. A packing deposit is charged, and for some packages that are easy to reuse directly, a packing deposit can be used. The seller delivers the deposit to the producer, and the customer delivers the deposit to the seller, driving recovery in economic interest. The implementation of eco-packaging is a complex system project. It is necessary to start with the idea of â€‹â€‹developing a recycling economy and carry out an overall and systematic analysis and treatment of the entire life cycle of product packaging. To implement cleaner production, avoid and reduce the generation of waste from economic sources; promote green consumption and build a favorable market environment for ecological packaging; timely and comprehensively recycle packaging waste, and give as much recycling as possible; and finally, End-of-life waste that does not have re-use value should be treated in a non-hazardous manner so that it can meet the requirements of not polluting the environment. Jumbo stretch film is a high-quality multi-layer film. 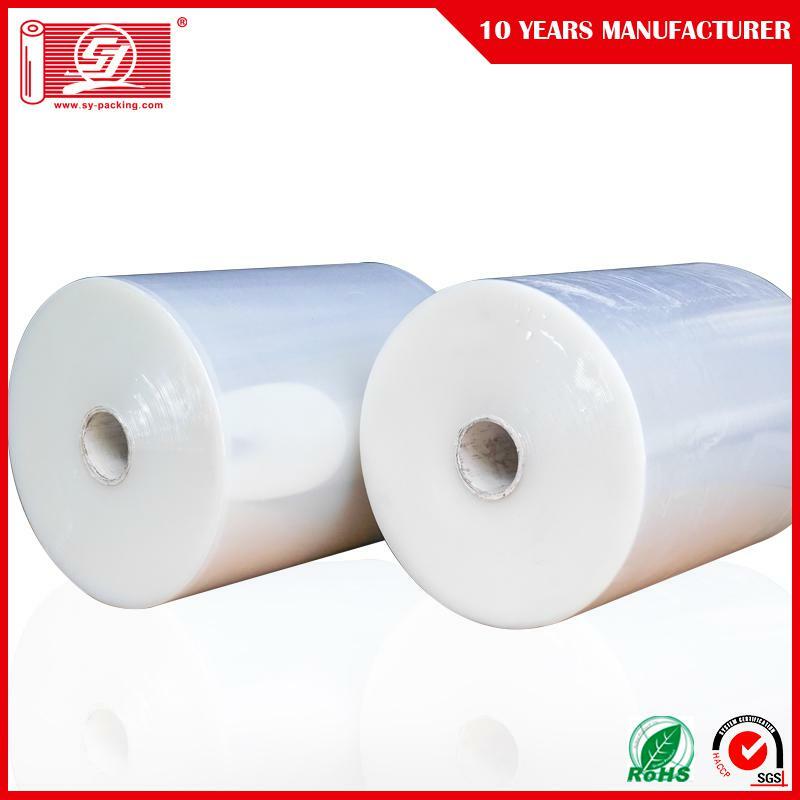 Thanks to its properties it is used for re-winding into hand or Machine Stretch Film rolls, with simultaneous maintenance of high stretch, flexibility and puncture resistance. Jumbo film is available also as : â€žHigh Slip" film, which is characterized by high clarity and lack of glue on the outer or inner layer, which overcomes the problem of pallets sticking during storage or transport. 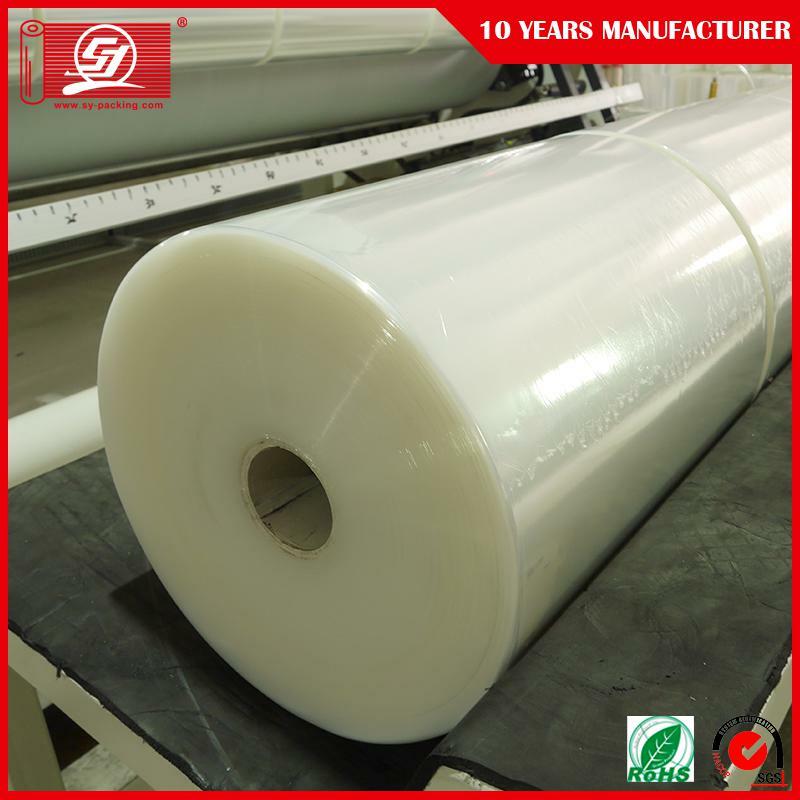 â€žHigh Slip" film is also produced in 4 qualities and in all offered thicknesses. Ã˜ Our stretch film material LLDPE is imported from Exxon Mobil and DoW. 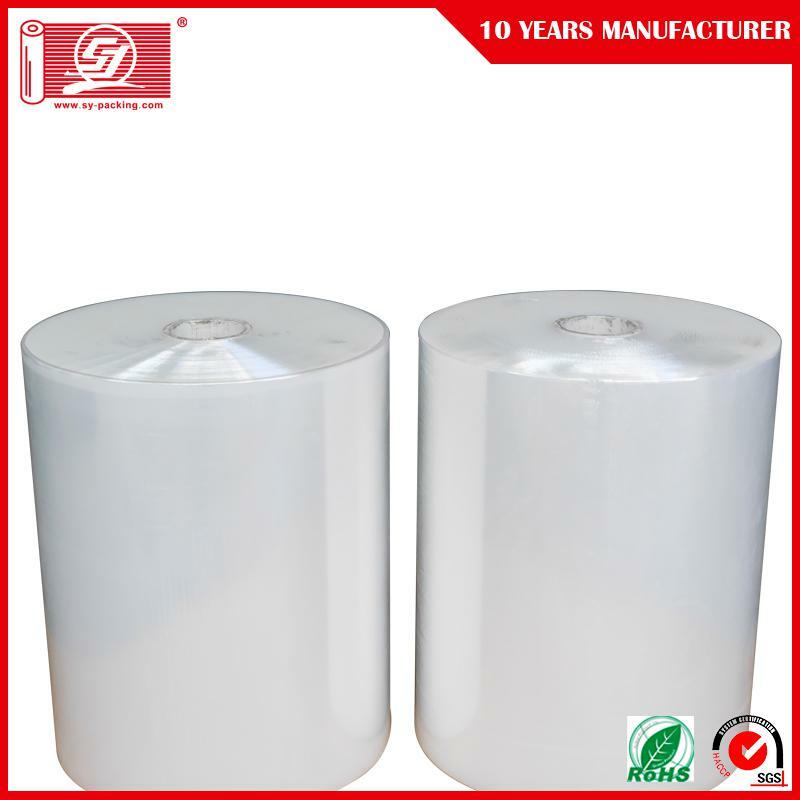 Ã˜ Our Bopp Packaging Tape material is bopp film with acrylic adhesive which are imported from Taiwan. Ã˜ We can do super thin stretch film. Pre-stretch Film . special film. super Clear Tape , crystal tape, no bubble tape, low noise tape, easy tear tape. No noise tape. Ã˜ We can offer print of paper core and carton mark. Ã˜ We have designer for customer designing packaging ways or new artwork. Ã˜ We have good quality and good service. Ã˜ 1, Our designer will make carton and label design for you as your requirement, then send to you for confirmation. Ã˜ 2, We will add all item picture in the PI for avoiding any mistake of your order. Ã˜ 4,We can offer printing paper core and shipping mark for you as your requirements. Ã˜ 5, We will booking the vessel for you when it is going to be finished. Ã˜ 6, We will inform you that detail ship date once we get the information. Ã˜ 7, We will update the vessel information(ETA&ETD) for you. Ã˜ Enquiry: contact us by email, phone call, fax, Instant tools (Trademanager, Skype) and let us know your enquiry. Ã˜ Discussion: specify the items you desire, confirm specification; OEM/ODM consultation. Ã˜ Quotation: Prices offered and accepted. Ã˜ Place order as per contract or discussion. Ã˜ Order completed under our arrangement. Ã˜ Send process production picture for you to avoid any problem. Ã˜ Booking the vessel when will finish the goods. Ã˜ Goods shipped as per contracted term. Ã˜ Send loading documents to you with the each term picture and loading picture. Ã˜ Goods arrive at local port or warehouse, depending on contracted term. Ã˜ Payment: 30% T/T DEPOSIT PAYMENT IN ADVANCE, BALANCE AGAINST COPY OF B/L, WESTERN UNION, L/C. Ã˜ Production Lead Time: 25-30DAYS AFTER DEPOSIT PAYMENT. Ã˜ Shipping Methods: OCEAN VESSEL. Ã˜ FOB Shipping Port: YANTIAN,/ SHEKOU , SHENZHEN, MAINLAND CHINA. Ã˜ If you want to deal with EXW/CIF/CNF term instead of FOB, please specify. Otherwise, FOB price will be quoted under inquiry.